When it comes to trading during the calm periods, there is one big difference between experienced traders and novice traders. Whereas experienced trader goes to a vacation or spends his time doing some other productive work, a novice trader usually makes one big mistake – he forces trades. Forcing trades or over-trading means that traders try to find trades even if there aren’t any good trading opportunities. Why they do it? Usually, because they feel that they MUST trade to make money. They feel like the process of trading means sitting at your screen and making trades. They feel bad or bored if they just sit in front of their screen without having any open trade. Unfortunately, they miss a key point. Trading is mostly about waiting. You wait for a good trade and when the time comes, you execute it. Then you wait again. The main goal of trading is to make money, not to “trade”. Doing lots of trades doesn’t mean you will make more money. Let me give you an example from my own trading – I was waiting 3 years for one trade (a short on the EUR/USD). With this trade, I have already made +800 pips profit. That’s how you make money trading. I think that thousands of people lost their trading accounts during those 3 years. And even those who did not blow their accounts probably didn’t make 800 pips in this period. At least majority of them probably didn’t. I know this is extreme. I was also placing other trades in this period but I think it illustrates my point pretty well. When traders don’t have “enough” trades they often start taking trades that don’t comply with their strategy and their hard rules. They take trades they would otherwise discard as not so good or not so clear. However, when there are not so many trading opportunities, such not-so-good signals start to look more appealing to them. This doesn’t need to be intentional, it is just the way the human brain works – it adapts. It basically tells you: “Well buddy, there aren’t too many nice trading opportunities right now so if you want to trade, you need to lower your standards”. So little by little you lower your standards. Usually, you won’t even notice that you are taking low-quality signals (and turning them into losing trades). What is the way out of this? The best thing you can do is to take screenshots of your trades and go through them from time to time. This way you will always remember how the good trades and signals look like. You won’t be unconsciously lowering your standards and you won’t be taking low-quality signals. You will be only taking trades that are the same quality as the ones from your screenshots. Another sign of forcing trades is looking for signals among trading instruments you have little or no experience with. 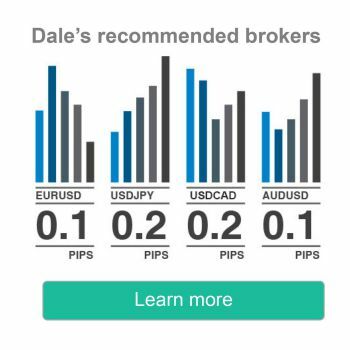 If you, for example, daytrade EUR/USD and USD/JPY, then a typical example would be if you started looking for trading opportunities let’s say on GBP/JPY, DAX or on OIL. Every trading instrument or forex pair has its own specifics, volatility, and behavior. You cannot expect that if you are familiar and profitable on the EUR/USD you will automatically be successful trading US indexes. Well, you can be, but you need to dedicate some time to backtesting and training with the new set of trading instruments first. You can’t start trading just like that and expect success. It is okay to expand and learn to trade new trading instruments but don’t jump into trading them without a proper preparation. So whenever you are tempted to trade some new trading instrument, it is important that you do it slowly and that you do your preparation and backtesting first. Don’t jump right in just because you have an urge to trade more. When traders feel like they would like to take more trades, they often search for them on lower timeframes. Those indeed give them more trading signals and trade opportunities. The lower the timeframe the more signals you get. Unfortunately, the quality of the signals goes down. Especially if such traders have no experience with the lower timeframes that they attempt to trade. Honestly, if you trade swing trades using 4-hour charts, then you won’t be making more money if you switch to 1-hour charts. You will have more trades, yes. But your winning ratio will go down severely. If you are experienced with lower timeframes then it is completely okay, but you can’t just switch to much lower timeframes and without any experience start playing a completely different game. What will happen is that you will start taking more trades and you will start losing more and more money. The safest way is just to stick to your timeframe and your usual way of trading. Don’t switch timeframes just because you want to trade more. Not without proper preparation, backtesting, and training. When the markets lose their usual volatility and they go sideways or in a tight channel it is pretty risky to open trades. Even though your trading levels or signals may look good, the gain potential is lowered because of the tight range. This is quite common for example on the AUD/USD. I usually daytrade this pair with 10 pip Profit Target and 12 pip Stop-loss. AUD/USD sometimes becomes very calm and it loses its volatility. In a case like this, I prefer not to take any trades there because 10 pip reaction (my usual Profit Target) would mean for example half of the daily volatility. I cannot really expect that an intraday level causes the price to make 50 % of daily volatility. 10 % or 20 % yes, but 50 % is really quite a lot. It happens only rarely that price reacts to an intraday level so strongly. So, if the volatility drops down, then it is best to avoid trading even if you are getting good trading signals. Remember that you don’t need to trade. It is absolutely okay to take your time and wait until the volatility gets back to normal. What happens when you are over-trading? The problem with over trading is that you take trades that you wouldn’t normally trade. This obviously results in losing money! What is worst about it is that you are losing money which you previously earned with good trades and setups you thoroughly planned. All the hard work you put into trading is lost only because you had an urge to trade. After that, you again need to look for some very good trades to get you where you already were before. This is pretty frustrating, right? Not even you lost money but also time. The worst scenario that comes with overtrading is “revenge trades” – imagine a situation when you take a few bad forced trades. You lose some money and you are frustrated. You want to get your money back. Now! So you start using bigger positions and forcing some more trades (because you need your money back NOW, right?). This is how a start of a catastrophic scenario looks like. Unfortunately, this is quite a common phenomenon among novice traders. The best way to prevent you from forcing trades is to have the 4 signs of over-trading always in mind. If you catch yourself doing one or more of the things I mentioned, then stop trading immediately. It will save you a lot of time, money and energy. Remember to always make sure that you follow your hard rules, your trading strategy, and trade only the instruments and timeframes you have experience with. Also, take screenshots of your trades so you have something to hold onto. If you feel bad about just sitting in front of your screen without having any open trades, then you should realize that you are actually doing a good job because you are not jumping into bad trades and you are not losing money. Really, it IS a good job! When there are no trading opportunities, I personally commit myself to other productive activities. This gets me rid of the temptation to take forced trades. I also don’t tend to feel bad for doing “nothing”. Instead of trading, you can, for example, backtest a new strategy, go through your older trades, read a book about trading or educate yourself by watching some trading videos. There are lots of activities that will help your trading. Forcing trades isn’t among them.